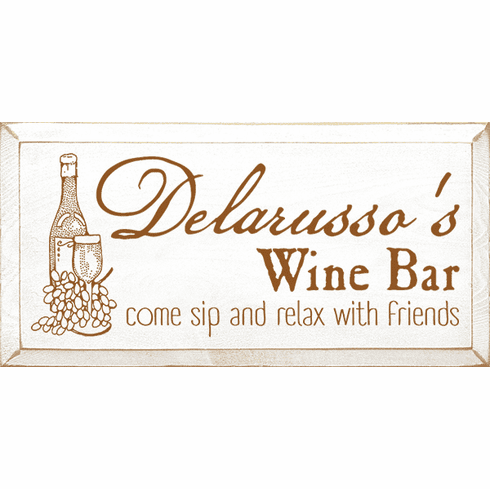 Food & Drink Sign...Custom Name ('s) Wine Bar - Come Sip And Relax With Friends. Made from solid knotty pine. Beveled edges. Routed slot in back for hanging.